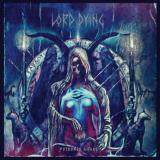 Hailing from Portland, Oregon, Lord Dying play the sort of sludgy doom metal made famous by High on Fire – so similar do the two bands sound that it's impossible to ignore the connection. The opening title track rockets off into rocking sludge within seconds, vocalist Erik Olson's throaty bellow having a distinctly Matt Pike-y vibe, bookending slower, trudging doom sections with thrashy gallops. As the album continues, however, it becomes more apparent that Lord Dying are trying to be their own beast, and while this isn't always successful, Poisoned Altars is never less than a fun listen. This is largely due to the band's on-point sound; with a big fat guitar tone and drum hits that you can feel, the production from Toxic Holocaust's Joel Grind is terrific. The songwriting, however, needs work. The proggy meandering on The Clearing at the End of the Path is a welcome departure from the until then dully competent riffing, for example, while the following A Wound Outside of Time slows the pace to doom out appropriately, if forgettably. Olsen's vocals veer from Kirk Windstein-gruffness to actual singing on An Open Sore, the song's structure and melody more apparent than elsewhere, but it's on Offering Pain (and an Open Minded Centre) where the album really takes off, an ominous atmosphere interjected with moments of thrashy pounding and a lovely bit of woozy, stoned soloing that I'd have loved to hear more of. Sadly, we don't get that. What we do get is the best track on the album, Suckling at the Teat of a She-Beast, which is exactly the sort of punky, almost blackened thrash monster that Lord Dying could be terrific at, rumbling riffs carrying the song onwards on their own. There's a widdly solo that feels in place, and a rambunctious finale – the sound of a band with songwriting skills falling into place. After that, sadly the doomcore-y (All Hopes of a New Day) Extinguished pales, despite being quite catchy in its own right, although closer Darkness Remains is better, with a lengthy instrumental section that manages to be atmospheric and interesting. Not a bad album, not a terrific one – give Lord Dying another album to work their sludgy magic and throw off their influences and we'll have a real killer on our hands. In the meantime, fans of High on Fire and Crowbar will enjoy this while they wait for new material from their heroes.